MK Uri Ariel of Bayit Yehudi (Jewish Home) responded Wednesday to criticism from Shas MK Yitzchak Vakhnin, who accused Bayit Yehudi of hypocrisy over spending in Judea and Samaria and claimed the party had not made any effort to work with hareidi-religious factions, instead seeking to forge an agreement with Yesh Atid. Counter to Vakhnin’s claims, Bayit Yehudi did try to work with Shas, Ariel said. “It could be Vakhnin isn’t aware of our appeal to the heads of his party, and I suggest he clarify the matter with them,” he said. 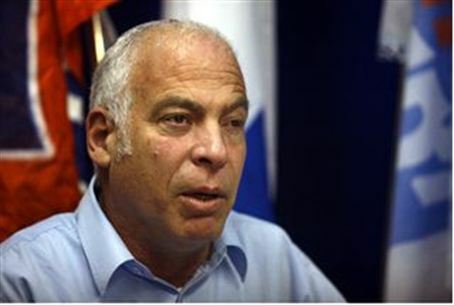 “We were pushed off by the hareidi parties, so we had to reach an understanding with [Yair] Lapid,” he added, referring to the head of Yesh Atid. In the previous government, Likud included the three-MK strong National Religious Party in the coalition, but not the four MK's of the National Union to which Ariel belonged. The two national religious parties united as the Bayit Yehudi (Jewish Home) party for the recent elections. Ariel called on hareidi parties Shas and Yahadut Hatorah (United Torah Judaism) to keep ccoperating with Bayit Yehudi despite their differences. “Over the years we have voted together with the hareidi parties on many issues, in committees and legislation, and we will continue to cooperate,” he declared. Bayit Yehudi and Yesh Atid are reportedly in advanced coalition talks with Netanyahu, while Shas may be left out of the government – a fact that Shas leaders have blamed on Bennett.